Watch the news and you would think the world is on fire because there are some statues of prominent members of the confederacy lining our streets, adorning our parks, and sitting high in the saddle on campuses. The masses are so offended that it may actually be the tears of social justice warriors (SJW) causing the seas to rise and not global warming. 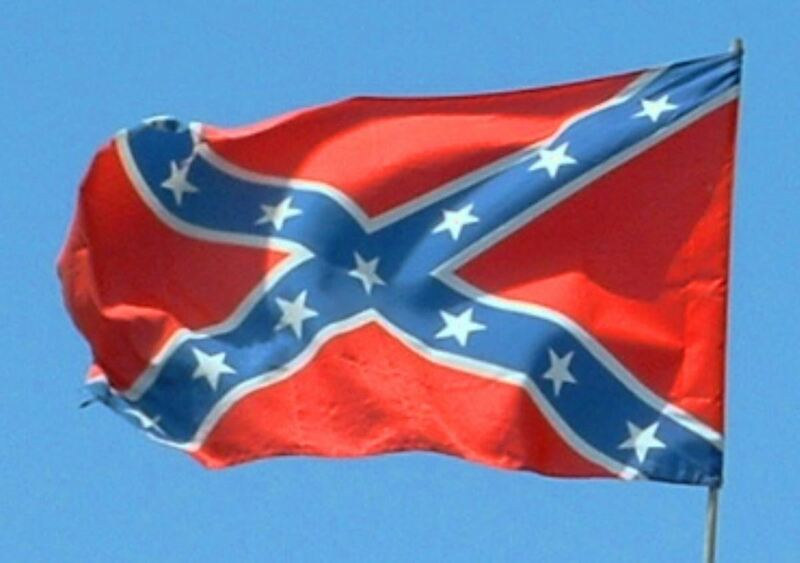 It started with the obvious, the demand that the stars and bars flag of the confederacy be removed from sight from just about everywhere. Then it was removing the names of buildings associated with the rebel cause. Then came the pulling down of statues. Now, some are suggesting that the navy change the name of one of its guided missile cruisers. Cruisers are usually named after famous battles, but it seems that the Civil War is no longer in vogue when naming warships. It is the USS Chancellorsville that is the thorn in the side of political correctness. Forget the fact that USS Vicksburg, USS Gettysburg, and USS Shiloh are also named after battles in the war between the states; they are perfectly fine. 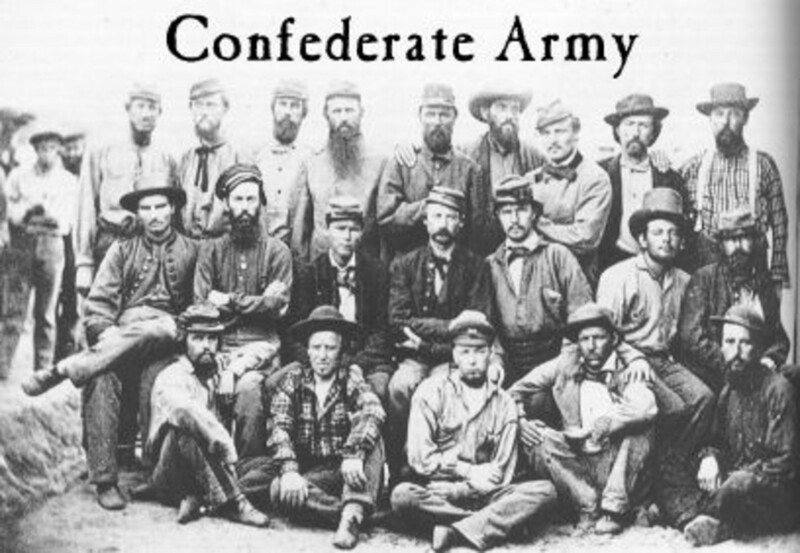 The problem with the Chancellorsville is that it is a skirmish that the South won. The Union won the others, but if the navy is forced to change the ship's name, the USS Antietam had better watch out; that battle (which was one of the bloodiest) was technically a draw. Protesters seem to forget that naming navy vessels after confederates was fairly commonplace in the last half of the 20th century. 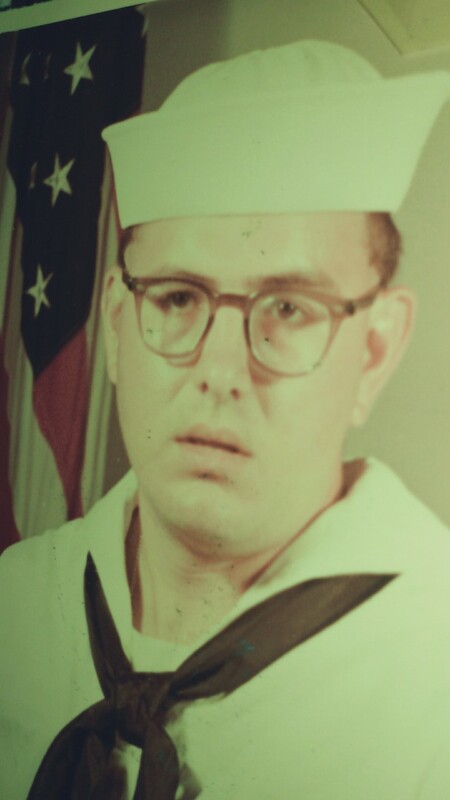 Valor, bravery, and military acumen were the only criteria for the honor of having your name slapped on the back end of a navy ship. It made no difference which side the person fought on. Here are nine vessels that the United States Navy saw fit to name after heroes of the south. The Dixon was not an actual warship, but a submarine tender. Submarines carry little in the way of stores, and they lack the ability to repair complicated equipment that breaks down. Space is limited on subs so they rely on a sort of mothership to tend to their needs. If a sub needed a motor rewound, it would turn it over to the sub tender for repair. The Dixon was big, with a crew of over 1,000, but it was lightly armed. The ship's namesake, George E. Dixon, was a steamboat engineer who was chosen to command the confederate submarine CSS Hunley. Submarine warfare was in its absolute infancy during the Civil War and little was known about how to use them effectively. In 1863, Dixon and the Hunley conducted a successful attack on the USS Housatonic in an attempt to break the Union blockade of the South. The attack was successful, but something occurred on the Hunley's return to port. It sunk and was not found for another 131 years. The USS Dixon was decommissioned in 1995. Not to be confused with the aforementioned CSS Hunley, the USS Hunley was also a submarine tender. With the exception of very modern times, the navy managed to name ships that actually had something to do with fighting wars; even if a vessel's only role was designing weapons. The Hunley was no exception; even if was named after a civilian. Horace Lawson Hunley was a planter from the New Orleans area who also practiced law. During the Civil War, he grasped how vital shipping traffic was to keeping the Confederacy afloat. Without trade and supplies from the sea, the South would slowly starve economically. To help bust the blockade that was strangling the breakaway nation, he developed a submersible ship. His submarine was eventually a success, but it suffered several swampings and sinkings during testing that killed numerous crewmen. One of the later tests also killed Hunley who was onboard supervising the operations. He never lived to see his contraption sink a Union vessel and change the face of future naval warfare. The Hunley was decommissioned in 1994. 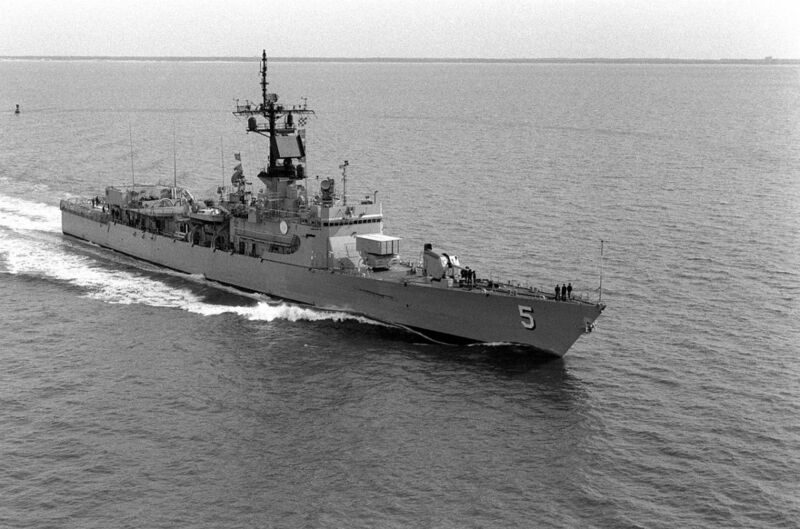 The Semmes was one of 22 Adams class guided missile destroyers built for the United States. Germany (then West Germany), also purchased 3 of the class. The platform was so powerful for its size that Australia built 4 as well, and they made up the bulk of the Royal Australian Navy for decades. This class of destroyer also had the distinction of having several of the ships named after confederates. Raphael Semmes was an officer in the United States Navy from 1837-1860. Being from Mobile, Alabama, it seemed natural that once the Civil War broke out he would seek a commission in the Confederate States Navy. He proved to be a problem for union shipping, and Semmes inflicted over six million dollars of damage on enemy vessels. He was considered a brilliant naval tactician and seemed unbeatable at sea. But he was, and the USS Keasarge finally put his run to an end off of the coast of France. 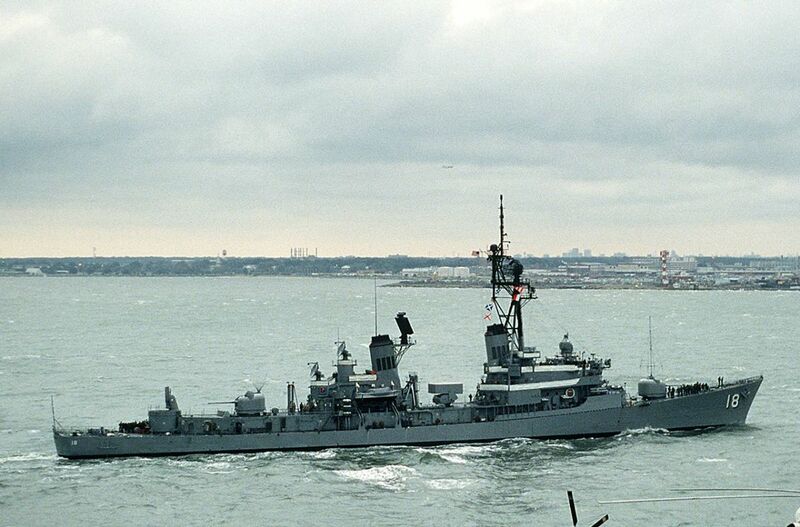 The USS Semmes was decommissioned in 1991, but served until 2004 in the Greek navy as the destroyer Kimon. One of the mighty Adams class destroyers, she was outfitted with a slew of surface-to-air missiles, anti-ship cruise missiles, and anti-submarine torpedoes. The Waddell could also carry rocket-thrown nuclear depth charges, making it, and all Adams class destroyers, nuclear-capable ships. James Iredell Waddell served in the United States Navy, but resigned with the war between the states bearing down on the nation. He spent some time in New Orleans after the war started and eventually went to England where the Confederacy was having much of its fleet built. He got command of the CSS Shenandoah, a converted Scottish merchant ship. All of Waddell's fighting took place in the Pacific, and in a testament to the lack of communication at the time, captured numerous Union merchant ships after the war had actually ended. Waddell never fought union warships, but was a feared enemy among the commercial fleet that supplied the North. 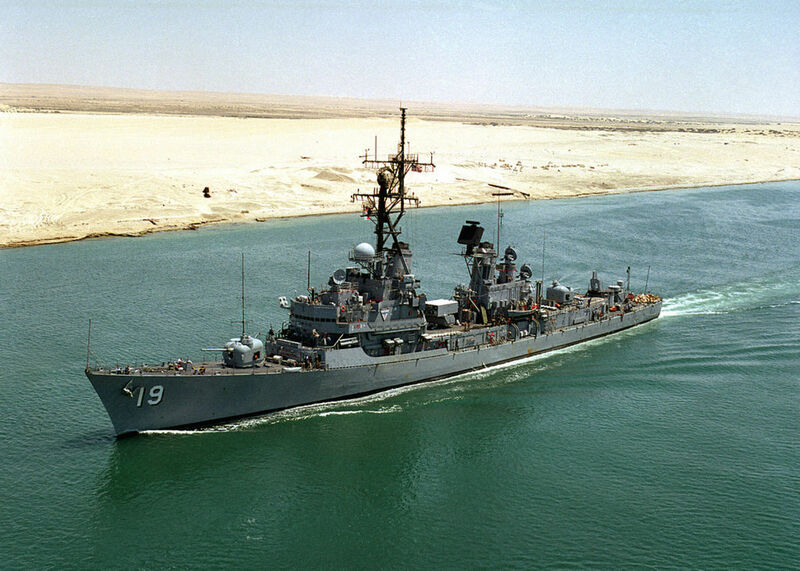 The USS Waddell was decommissioned in 1992 and served the Greek navy until 2003 as the destroyer Nearchos. 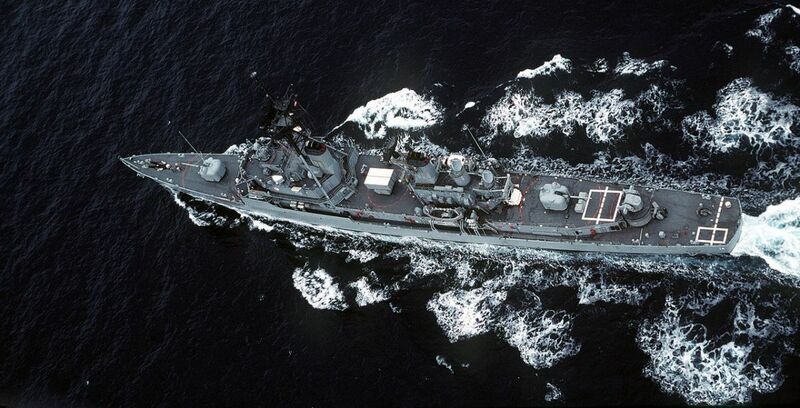 The USS Tattnall was another venerable Adams class destroyer that served our nation well throughout the Cold War. The class, in addition to its missile complement, carried two 127mm guns; one mounted forward of the superstructure and one aft. These guns utilized a variety of shells that made them effective against targets on shore, on the sea, and in the air. Josiah Tattnall, Jr. served in the United States Navy during the War of 1812. When the Civil War began, he opted to serve in the Confederate Navy and commanded the forces charged with the protection of the coasts of Georgia and South Carolina. His most renowned action during the war was ordering the destruction of the ironclad CSS Virginia to keep it from falling into the hands of Union forces. The USS Tattnall was decommissioned in 1991. Another Adams class tin can named for a confederate, the Buchanan, served primarily in the 3rd and 7th fleets during her career. Her service included several stints in support of the conflict in Vietnam. 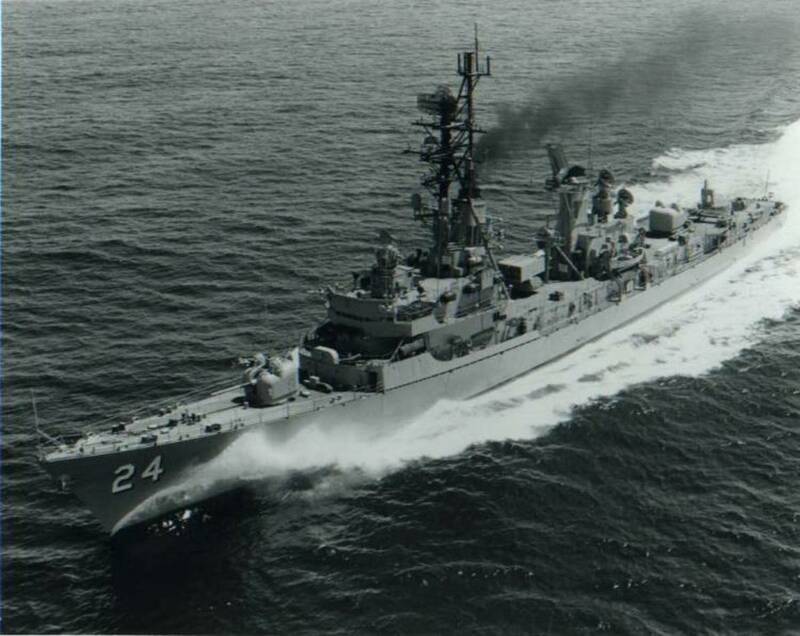 The Buchanan was also the last of the Adams class to be outfitted with the twin-arm MK-11 guided missile launcher. Subsequent ships of the class used the single-arm MK-13 launcher. Franklin Buchanan was another US naval officer that served with distinction, but ultimately resigned his commission to serve with the South. He was the captain of the the ironclad CSS Virginia and bested five Union vessels before being wounded. His injury caused him to be replaced by Josiah Tattnall, a confederate captain that would also have a destroyer of the same class named after him. After recuperation, he was promoted to admiral and given command of all Confederate naval forces in the south and again wreaked havoc on Union ships during the Battle of Mobile Bay. During this pivotal sea battle, he was again wounded and eventually captured. The USS Buchanan was decommissioned in 1991. Frigates are smaller than destroyers, with overall lesser tonnage, and the Richard L. Page was one of six Brooke class frigates built. 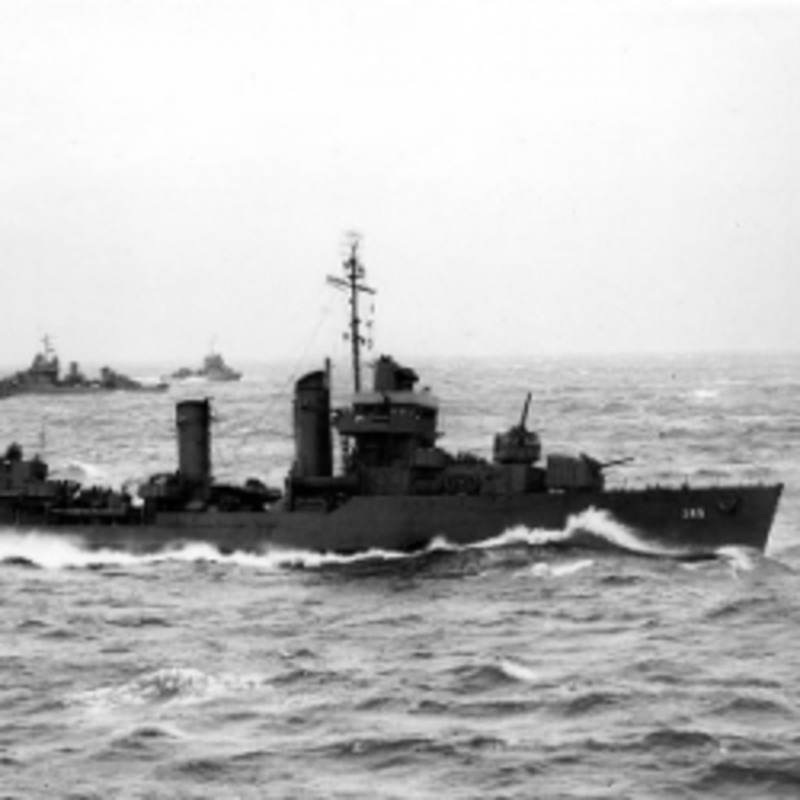 Using much of the same missile equipment of the larger Adams class destroyers, the Brooke class carried fewer missiles and a smaller crew. Nevertheless, they packed a wallop for their size and were vital members of the fleet. Richard L. Page commanded the USS Independence during the Mexican War and opted to serve in the Confederacy once Virginia seceded from the Union. He served as a commander in the confederate navy helping prepare defenses in the Tidewater area, and also as an ordinance officer in Norfolk. He later received a commission in the Confederate army as a general and was in charge of defenses at Mobile Bay. 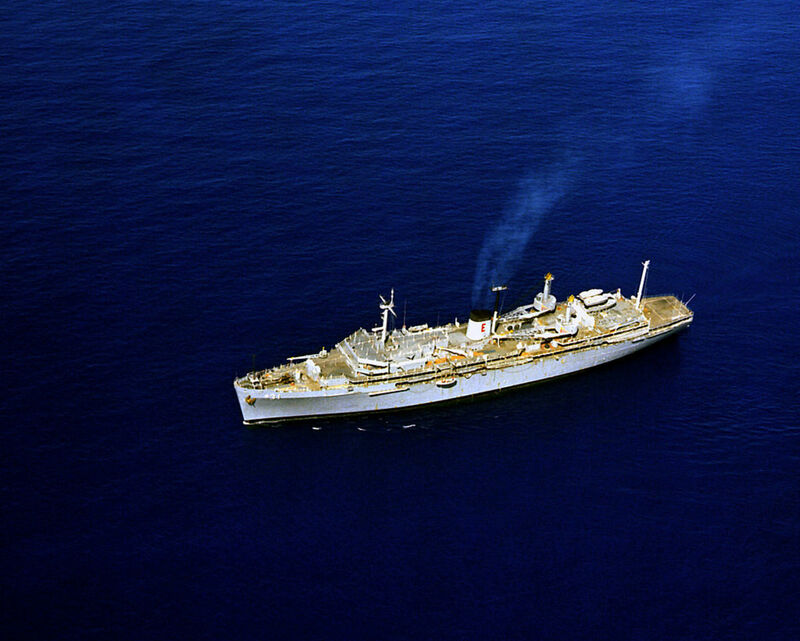 The USS Richard L. Page was decommissioned in 1988, and was leased to Pakistan where it served in the Pakistani navy until 1994, after which she was returned to the US Navy for scrapping. A Lafayette class ballistic missile submarine, the USS Stonewall Jackson was designed as a nuclear killing machine. The sub could launch 16 Polaris or Poseidon nuclear ballistic missiles; each of which could lay waste to an entire city. Submarines like the Stonewall Jackson played, and still play, an important role in America's nuclear triad of air, sea, and land-based nuclear missiles. Thomas “Stonewall” Jackson is one of the most celebrated names in Civil War history. His tactics of rapid movement and superior leadership made him one of the most successful generals in the entire conflict. At the First Battle of Manassas, during an onslaught of Union troops, General Jackson stood calmly “like a stonewall” and inspired the confederate forces to victory. At the height of his popularity and success, Jackson was mistakenly shot by his own troops while riding on patrol. He died a short time later. The USS Stonewall Jackson was decommissioned in 1995. 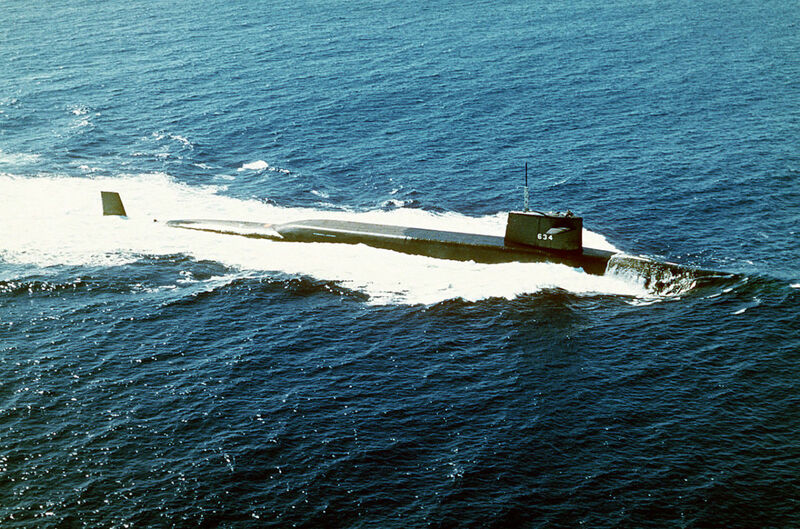 The third ballistic missile submarine to join the US fleet, the Robert E. Lee had the capability to carry 16 Polaris sub-launched nuclear missiles. 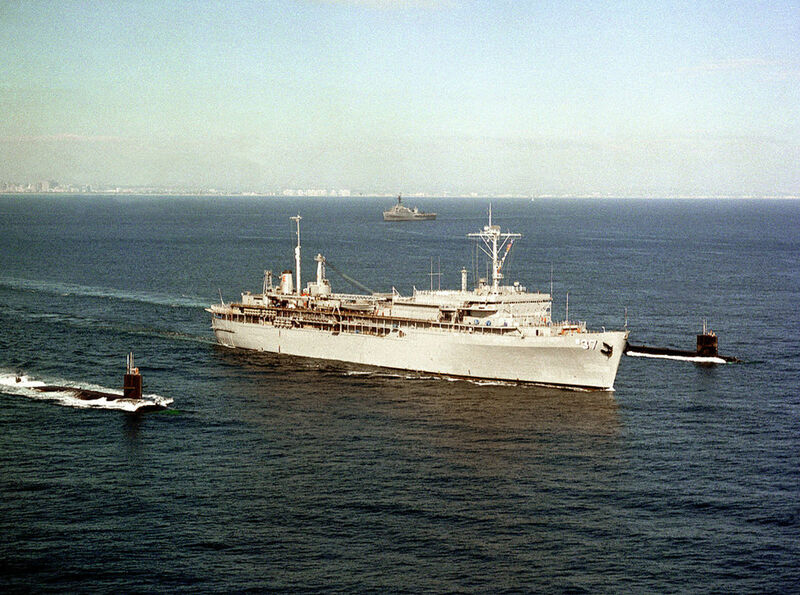 Using two crews that rotated deployment duty, the SSBNs typically proceeded to predesignated patrol areas where they would stay submerged for months awaiting launch orders that, fortunately, have never been issued. 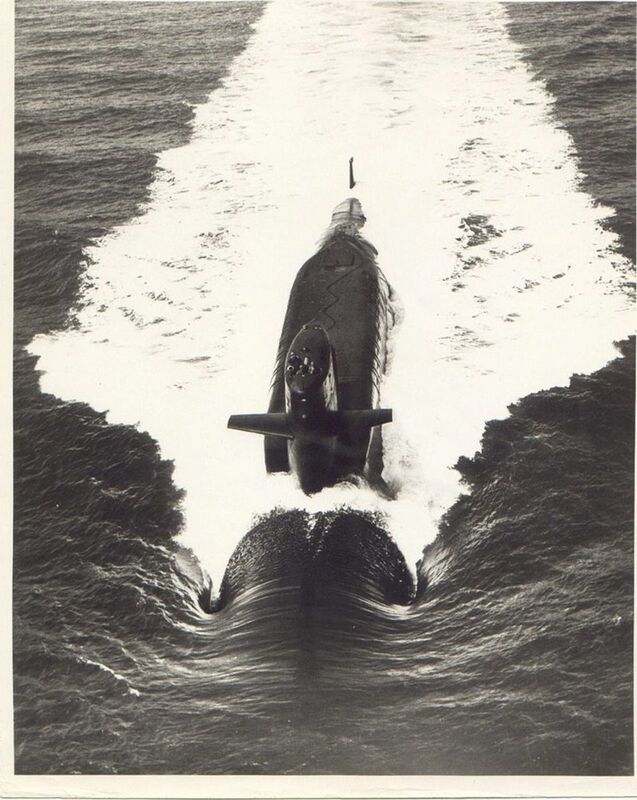 The Robert E. Lee was never modified to carry the more advanced Poseidon missiles, thereby earmarking the sub for decommissioning. Robert E. Lee commanded the Army of Virginia and was the default commander of Confederate army. Blessed with talented field commanders like Stonewall Jackson, Lee obtained several decisive victories early in the war. As the conflict progressed, and confederate losses mounted, the tide of his battlefield successes turned during the resounding confederate defeat at the Battle of Gettysburg. Lee and his army were on the run afterward, and eventually surrendered in Virginia, effectively ending the Civil War. He has remained a beloved icon of the South and monuments to his greatness have recently ignited unrest regarding their public display. The USS Robert E. Lee was decommissioned in 1983. Great reminder of a rather unusual policy. I'm sure some of it had to do w/getting defense appropriations in Congress. By promising to name it after a prominent Confederate, the funding became a little easier. 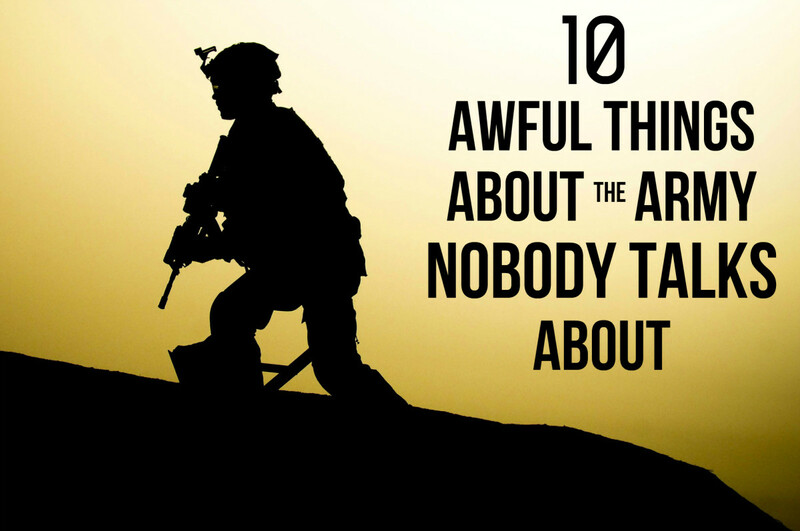 Then when you add all the Army bases like Bragg, Hood and Benning, it's quite a list. 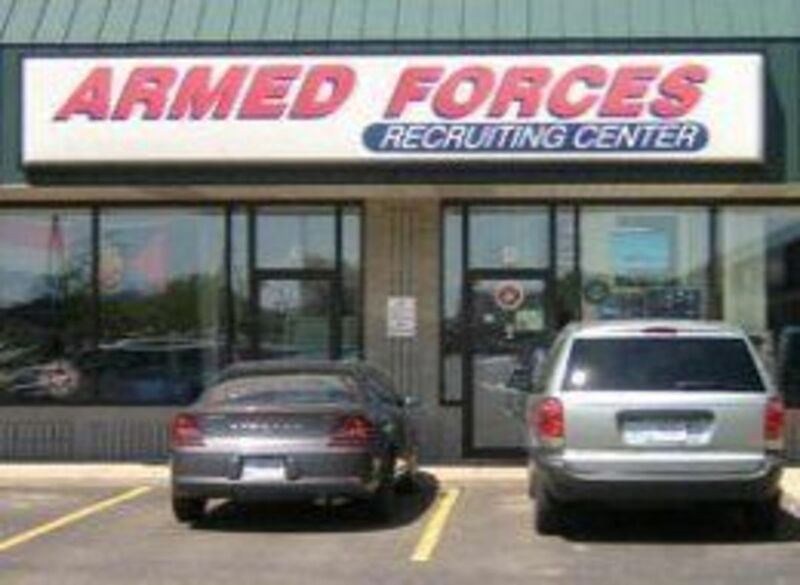 Sort of like the Founding Fathers naming an Army base after Cornwallis.